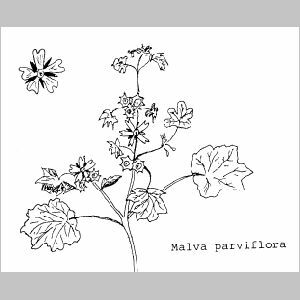 Two fairly common annuals found in parks and on damp waste ground in the city at this time of year are the mallow Malva parviflora (Malvaceae) and the medick Medicago laciniata (Leguminosae). The former grows in extensive clumps around drip-irrigation points in plantations with individual plants up to 50 cm tall. The leaves are shallow-lobed and veined, with small white or purple-tinged flowers growing from the axils. The fruit is a distinctive button-shape with several radiating carpels. 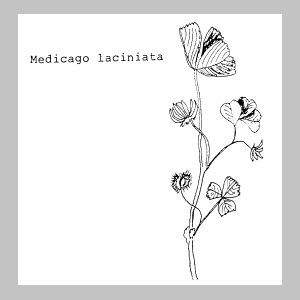 The medick has trifoliate leaves with tiny leaflets and also grows to half a meter if well supported, for example, by the lower branches of acacia saplings. The flowers are bright yellow and the fruit is spiny with 4-5 coils.